Seek to see and feel the gospel as bigger as years go by rather than smaller. Our temptation is to think that the gospel is for beginners and then we go on to greater things. But the real challenge is to see the gospel as the greatest thing — and getting greater all the time. I’ve been thinking a lot lately about my unhealthy familiarity with the gospel. I’ve sat through thousands of sermons. I’ve seen all sorts of clever illustrations and explanations. I’ve heard preachers whisper with seriousness the importance of the cross and scream with passion our need for a savior. I must confess, after a while I just got used to it all. I’d heard it before; it seemed familiar. When I say the gospel became familiar, I am not speaking of intimacy and depth of knowledge. I mean something more like the famous phrase that says “familiarity breeds contempt.” I became presumptuous toward God and his grace. I took it all for granted. Many of us bring an entitlement mentality into our relationship with Christ. His love and grace becomes expected. As a result we enter God’s presence with an ease and flippancy that is unthinkable in the Bible. Paul was never so presumptuous; though he knew his salvation was secure he still approached God with humility. I can’t help but think of Isaiah’s experience in the presence of God (Isaiah 6). Just compare the prideful and audacious attitude of Uzziah (2 Chronicles 26) with the humble “woe is me” attitude of Isaiah (Isaiah 6:5). Isaiah’s experience was life-altering. He could not be in God’s presence without conviction of sin, an experience of forgiveness, and a clear commission to go and tell others. It seems that I’ve so domesticated the gospel that I’ve effectively minimized its totalizing commands. I remember another stand up comedian discussing the infamous Siegfried and Roy incident. 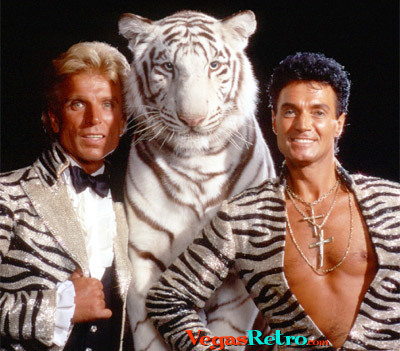 The famous (and famously flamboyant) Las Vegas duo successfully trained wild cats (e.g., lions, tigers, etc.) to stand on glittery balls, jump through flaming hoops, all while being poked with sticks and such. Not the wisest idea if you ask me. You see, if a domesticated housecat gets mad at you, it might hurt but you’ll win. Anything I can punt 25 yards is gonna lose. However, when a 600 pound tiger gets mad — you lose! And so it happened for half of the Las Vegas duo. Doing the same show over and over again does not negate the fact that a wild animal is not safe. The gospel is not something to be domesticated or tamed. The gospel cannot be treated as simple and safe. The gospel can never be routine and mundane. The gospel is not to be managed or maintained. The gospel is to be obeyed. We are to risk everything to follow Jesus and spread the life-changing news of his death and resurrection.